Does your home need more than one Netflix subscription? Does your household need more than one Netflix subscription? With faster, more reliable broadband being rolled out across the country (albeit at a much slower pace than many would like), the way in which we use the internet and online services continues to evolve. Quicker connection speeds and less down time mean we can now make more use of the web than ever before, and companies are only too happy to monetise the situation by stepping in and offering consumers an ever increasing range of innovative online services. Brands like Netflix and Spotify have quickly gone from a position of obscurity on the sidelines to dominant market players in their respective sectors. In 2012 Netflix had 20m subscribers - virtually all of whom were in the United States. Six years on and the online streaming service has over 130m subscribers. Music streaming service Spotify has followed a similar growth path, going from 20m paying customers at the start of 2015 to more than 75m by the end of March this year. This gives you an idea of the scale of online subscription services and how they are becoming an ever bigger part of our everyday lives. Although the individual subscription costs for these services tend to be relatively low, if you add additional subscriptions, then things suddenly gets quite pricey for what is non-essential discretionary spending. So, how to make the most out of your online subscriptions? Is there any way you could be spending less? Could you change your habits to reduce data usage? 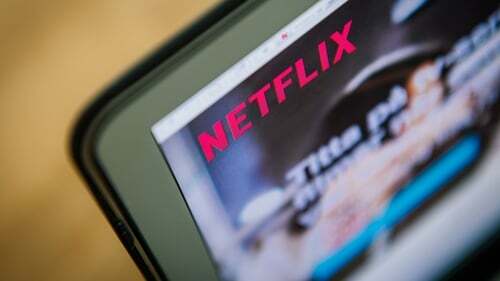 Netflix does not give a geographical breakdown of subscribers, however, recent research from ComReg estimates that around 680,000 households "use Netflix". This doesn't imply 680,000 subscriptions though, with anecdotal evidence suggesting that - in many cases - there are many users sharing the same account. The video streaming service's basic package, costing €7.99 a month, only offers single-screen viewing. However, its other two more expensive packages - the two-screen plan for €10.99 per month and the four-screen plan at €13.99 per month - present the opportunity for numerous people to work off the same account. This essentially means for just under €14 every month, up to four devices can be used to watch Netflix content at any one time. Based on this, there shouldn't really be a need to have more than one Netflix subscription per household. So, if someone in your household or a good friend has an account already, it's definitely a viable option to cancel one and share the cost. But if you want to be even more frugal with your online video streaming services, then another option is Amazon Prime Video. Unlike Netflix, there is no free one-month trial to draw you in but Amazon Prime does offer streaming on two screens at the same time for €2.99 a month for the first six months, before rising to €5.99 each month. It's considerably cheaper than Netflix's equivalent package and also offers subscribers the cherry of free priority delivery for items ordered via Amazon. A potential drawback for potential Amazon Prime customers though is that the available catalogue is not as comprehensive as Netflix, but it is growing. Also, online video streaming is evolving at pace so there's no telling how quickly things can change and how catalogues can improve. Both of these services - along with a host of others - offer a superior-quality picture for the majority of their content, but this comes at a price. Unless you are on an unlimited data usage plan with your internet provider, then you need to watch your consumption, as regular online video streaming will eat into your data allowance. Thankfully, both Netflix and Amazon Prime offer the option of downloading TV shows and movies that can then be viewed when you're not connected to the internet. This means, if you're smart (and frugal), you can take advantage of any situation where you find yourself connected to free wi-fi and download to your heart's content without racking up any data costs or taking away from your own allowance. And with ubiquitous nature of wi-fi, you shouldn't have to work too hard to find yourself a suitable free network to work off. Do I need to worry about data with audio streaming? Although in general streaming audio would use a lot less data than video streaming, if you are listening to your favourite tunes for hours at a time it can eat into your data package. Thankfully though, like video streaming services, audio providers such as Spotify and Apple Music allow paid subscribers to download music when connected to the internet that they can then listen to once they're offline. If you're mobile or web data allowance leaves you tight, then frugal use of available wi-fi networks can be of major benefit in saving on data costs. If you go over your allowance, especially on mobile, the penalties can be severe. Obviously if you have an unlimited data allowance, then you can totally disregard this and stream at your leisure no matter where you are. With 70m paid subscribers, Spotify is the biggest player when it comes to music streaming, but Apple Music is catching up quickly and by the end of the first quarter of this year had amassed 40m paying customers. Both companies essentially do what one might think such services do, but there are some differences and also some ways to save money if you're 'tuned' in. Spotify operates what's known as a 'freemium' business model. This means basic services are free, with additional features offered via a paid subscription. Spotify generates revenue by selling premium streaming subscriptions to users and by targeting advertising at non-paying customers. With regard to cost, Spotify offers new customers three months of its premium service for a monthly fee of €0.99, rising to €9.99 per month thereafter. But, if you know others who would be interested in the service, it would make sense to sign up together under the 'Premium for Family' offer. It allows the 'primary' account holder and up to five more 'subsidiary' accounts to get access to Spotify's premium service for €14.99 per month (compared with the cost of €9.99 for one person). So, even if it's just two people signing up together, that's already €5 saved between you - and you can have a maximum of six people. You should note though, Spotify states in its terms and conditions that family members must reside at the same address. This means everyone signing up together will need to have the same address as the primary account holder, which may be a drawback for some. In theory though, if one family subscription were to be shared across six people, this could bring a saving of €7.50 per person each month. Apple Music's pricing model is virtually identical to Spotify's, so it just depends on your personal preference as to which one you could opt for. Unfortunately for hardcopies, Audiobooks are the fastest growing segment in the digital publishing industry and last year in the United States they generated more than $2.5 billion in sales. The largest commercial audiobook provider is Audible, and the Amazon subsidiary has cornered the market in recent years. You can buy titles individually online and listen on your device, but the cheapest way of listening to audiobooks is to buy a subscription. The basic subscription costs £7.99 per month (there is no Irish website for Audible yet so you have to go through the UK one, hence the sterling price). For this you get one credit per month that can be redeemed against an audiobook. However, if you buy a title on its own without a subscription, the one-off cost can easily be two to three times higher than the £7.99 (which works out at just over €9). But if you find you're not making enough use of your subscription, you can simply cancel at any time. Interestingly, if you do go to cancel, Audible will generally try and keep your custom and offer you an extra book credit or half-price membership for a month to keep you. Something worth bearing in mind to potentially save even more. Faster internet leads to bigger files - but where to store them? Better broadband has made it much easier to create and send large files online. But this has also led to somewhat of a spin-off market in the area of data storage. We now have too much data and not enough space on our hard drives and mobile devices to store it. That's where cloud storage comes in. Cloud storage refers to a cloud computing model in which data is stored on remote servers accessed from the internet, or the "cloud" as it's commonly known. It basically means you can access any data stored in the cloud from an internet-connected mobile device or laptop. The idea of such storage though has exploded in recent years with image, video, and other file quality improving so much. These high-quality files tend to be accompanied by growing file sizes, and a number of companies have sprung up that will help you to store your data in the cloud. Dropbox is one of the bigger firms operating in this sphere. It has over 500 million customers and over 400 billion pieces of content have been uploaded to the cloud using the service. Most cloud storage providers will give you a certain amount for free space to reel you in and become familiar with the product - usually in the region of 2GB. You then quickly realise this is nowhere near the amount of space you need and look into buying more cloud storage. Dropbox's basic package, at €10 per month, gives you 2 terabytes (1 terabyte is 1,000 gigabytes) of storage, and that deal factors in three users. Again, like with video and audio streaming subscriptions, teaming up to buy data storage is the way to go to save money. For an extra €5 a month Dropbox also has a business user package that offers up to three users "as much space as your team needs". The majority of the main online tech companies have their own cloud storage products and there is not a lot between them when it comes to either price or functionality. It really depends on what you are already most familiar with, that will determine who gets your money. Do I need all of these subscriptions? That's a question only each individual can answer themselves. Some might, some might not. The beauty with most of the above online subscriptions is that if you aren't happy, you can just cancel right away. You don't need to honour any drawn-out contract. And if you think you have too many subscriptions, why not try and cancel one or two for a couple of months and see if you miss them? You could always just dive straight back in if you wanted.